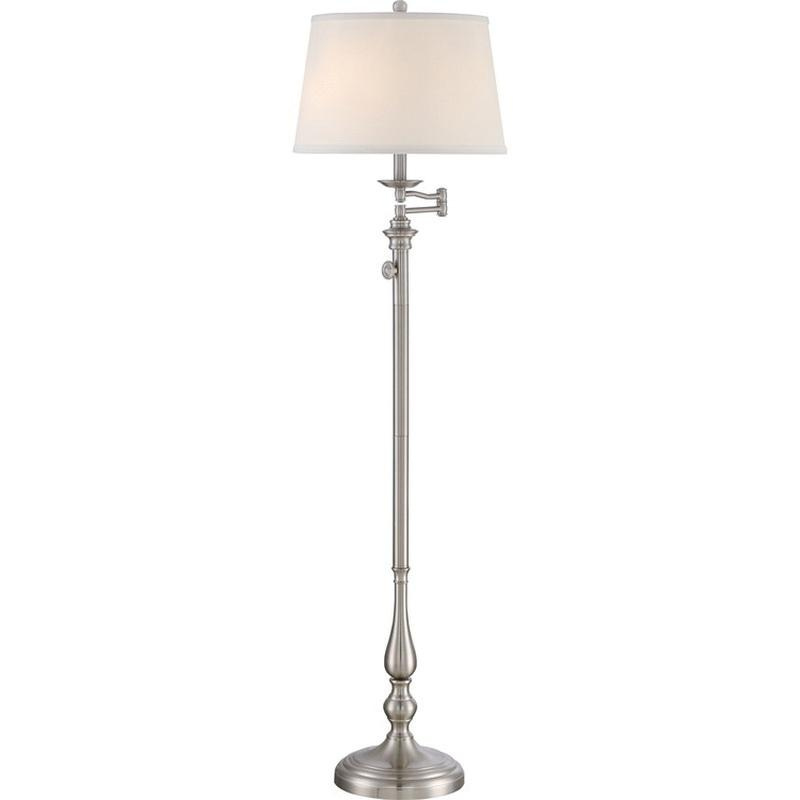 Quoizel Lighting Vivid Collection 3-Light portable floor lamp in brushed nickel finish, features steel base construction. A white hardback fabric shade with double trim brings elegance to the home. This classic style lamp in circular shape, supports three 75-/18-Watt medium base CFL bulbs that have voltage rating of 120-Volts. This lamp measures 16-Inch x 16-Inch x 58-Inch. It comes with 12-ft lead wire for hassle-free installation. This lamp is ideal for use in bedroom, den and dining room. Lamp is cUL listed.